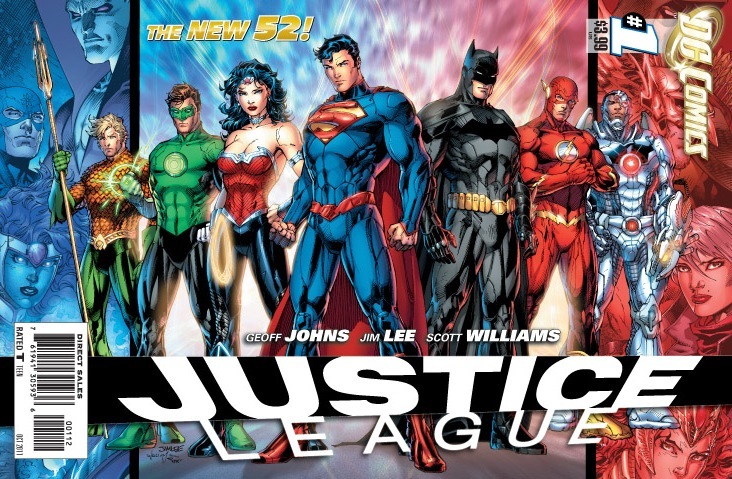 Next up for my comic book jones is DC's The New 52 Justice League series. Growing up I LOVED the Justice League cartoon and the funny thing is what I loved the most about the cartoon were the villains. To me they were 100 times flyer then the heroes! Lex Luthor, Solomon Grundy, Bizarro, Cheetah, Black Manta...those were some fly villains. Plus they had the ill hideout in the swamp and to top it off these dudes had the illest name...The Legion of Doom! Now with the New 52's Justice League, the fly thing I like about it is that none of the squad knows each other cause they each have their own cities to hold down. 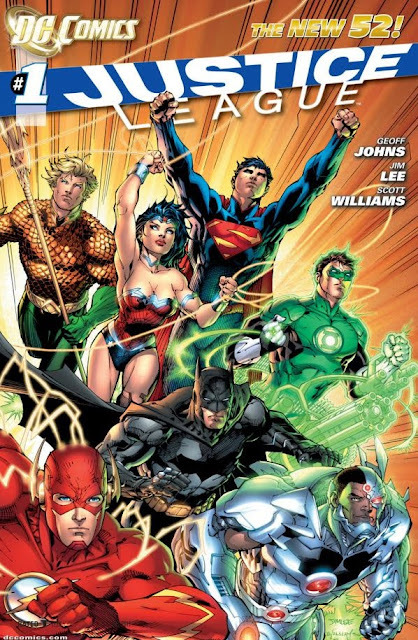 (Batman has Gotham, Green Lantern has Coast City, Superman has Metropolis, the Flash is in Central City, etc.) So while Batman is handling business in Gotham, Green Lantern shows up because he says he was summoned there and his reaction to Batman is "you're real?" So it's like everyone has heard of each other but nobody has actually met. The other thing I dig about this comic is the comedy that comes with every issue. When Green Lantern finally chops it up with Batman he's like "what are your powers? Can you fly? Do you have super strength? You mean you're just a regular guy in a cape?" And when they get to Metropolis to meet Superman the first question he asks Batman after his heat vision blasts Green Lantern is "so, what can you do?" So after Superman takes it upon himself to beat the ish outta Green Lantern and Batman, Green calls the Flash for back up (but it's not like the Flash was any REAL help) and eventually asks Batman (like everyone else) "what can you do?" Plus when Wonder Woman pops on the scene, while the Flash & Green Lantern are in awe...Green Lantern quickly calls dibs on her! Yeah, the comedy in this jawn is off the books! Plus during the series cats school you on Cyborg's origin and eventually him and Aquaman join the squad to make the cipher complete. And even though I don't see the Legion of Doom poppin' up anytime soon you'd still be hard pressed to pass on the new Justice League cause with the characters, the writing and the comedy you can't go wrong with these jawn.